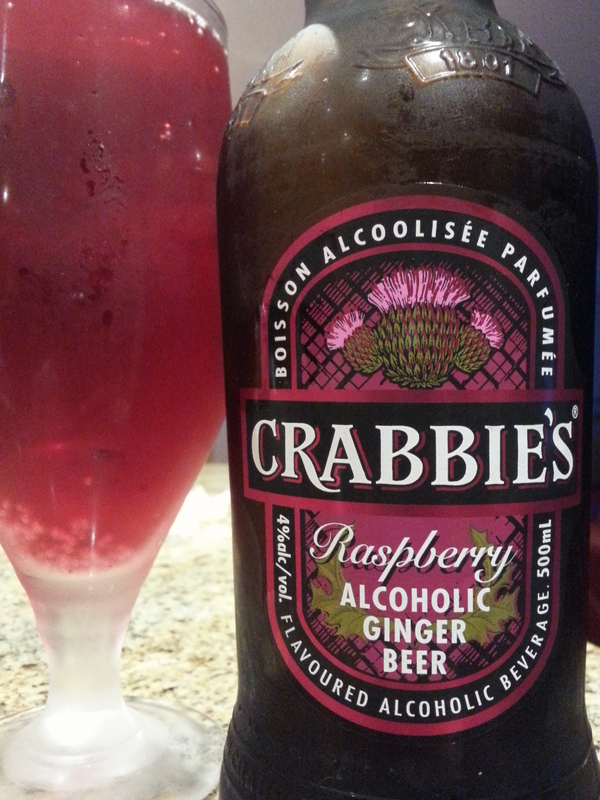 Crabbie’s Raspberry Ginger Beer (Edinburgh, UK) | Justintoxicated. Visual: Pours clear brilliant ruby red without any head, no retention, no lacing, and only a few countable streams. Finish: mild ginger burn, rooty ginger-sweet finish. 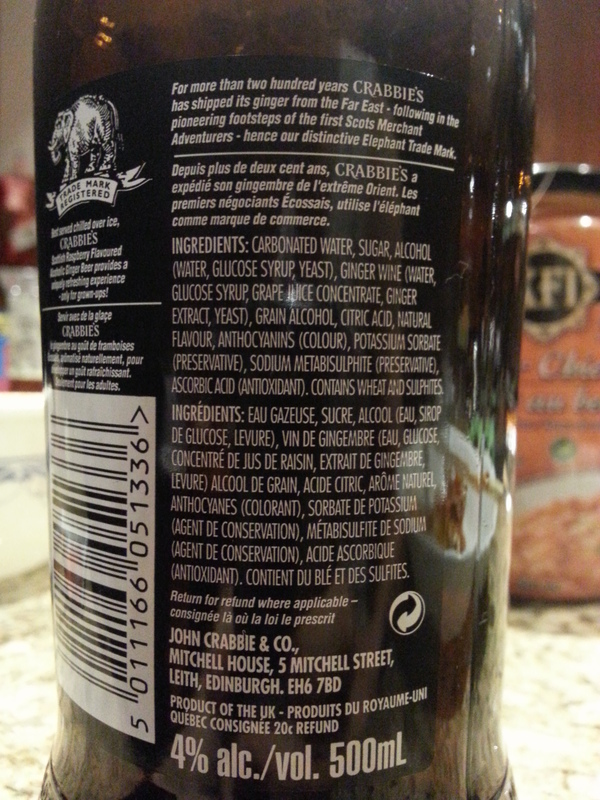 Summary: Not actually raspberry, but grape, and not actually a beer but a mix of alcohol, wine and juice. Pretty good drinkability, but not something I’d want again and again.